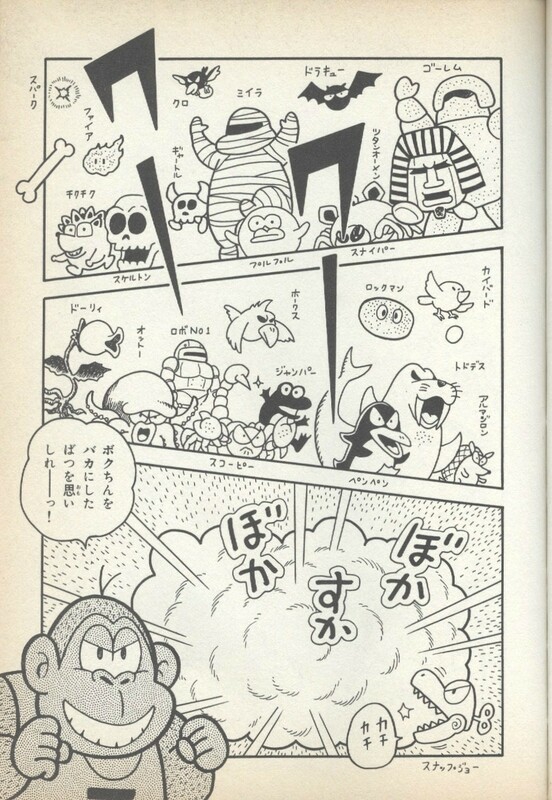 Penpen form a species of malicious penguins debuting in Donkey Kong for the Game Boy. They inhabit the Iceberg and can be first seen in Stage 7-3. Penpen behave just like Aqua Man and Miira, enemies encoutered by Mario in his adventure prior to trekking in the Iceberg; Penpen slowly walk in one direction on the platform they dwell, and switch their current walking direction whenever they encounter a ledge or a margin. They are capable of harming Mario if the said hero comes into contact with their front or back sides. Contrariwise, Penpen do not mind Mario jumping and standing on them. As such, the hero can get a ride on their heads as the bird enemies march at the same pace and speed as before. While in this stance, it is possible for Mario to heave the enemies, and if they hit other vulnerable enemies when thrown, they will be defeated. This page was last edited on July 18, 2018, at 11:05.